"QueerWOC: The Podcast" started as a Tumblr page in 2013 and grew into a community space for Lesbians, Bisexuals, and Trans women of color. Join Money - a Family Therapist by day and lewd lesbian by night - and Nikeeta - a community organizer who loves Luther Vandross and 'Frasier' reruns - in this live version of their biweekly podcast that pushes the queer women of color community into the future through conversation. 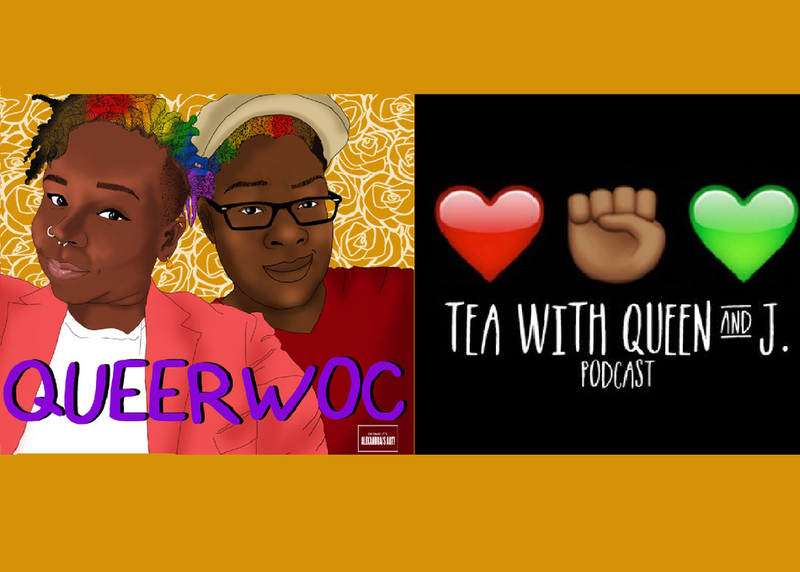 In this live session, QueerWOC will be joined by womanist race nerds Queen and J of the Tea with Queen and J podcast to talk dating chronicles, nerd things, and Black womanhood. The Money, Nikeeta, Queen, and J will highlight a QueerWOC of the week, share a healing practice from Money’s therapy bag, and explore political events. Oh, and of course their hilarious dating woes and wins are in there too!